At Amalgamated Pest Control, we are totally committed to give you the very best in pest control services by remaining the industry leader in research and technical expertise. We have been providing safe and effective pest control services to residential and commercial property owners in Australia since 1923 when Amalgamated Pest Control first formed as the amalgamation oftwo small family companies. In late 2016, we proudly joined forces with another leading Australian pest control company, Flick Anticimex, formerly known as Flick Pest Control. 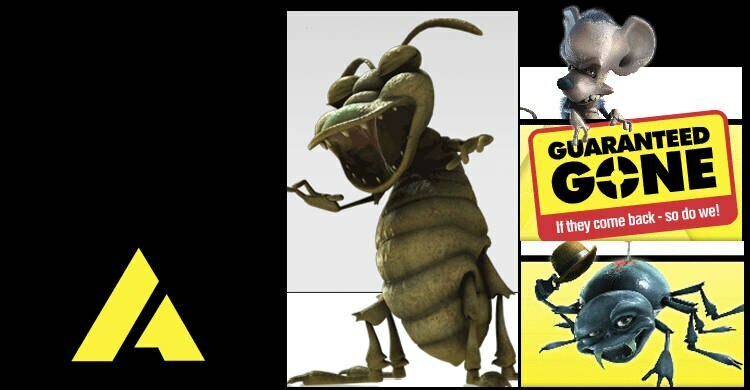 Now, Amalgamated Pest Control and Flick Anticimex are Australia’s largest pest control company with 90+ years of pest control experience and branches all over Australia. When it comes to solving pest problems in your home, you want to be confident that you and your loved ones and your pets are safe and that you can have confidence that the treatment will work. We can look after all your general pest problems including cockroaches, ants, spiders, fleas and many others. We can even check your house for termites as we are the termite specialists! Whether you're in the private or public sector of the business world, you need a partnership with a reliable and proven pest management service. We can help you with your pest control needs and with increasing obligation under our duty of care as employers, we all know that prevention is better than cure in the workplace. We can look after all your general pest problems including cockroaches, ants, spiders, fleas and many others. We can even check your commercial property for termites. Are you concerned about termites and other timber-devouring pests? Statistics show that at least 1 out of every 3 homes in Australia will experience termite problems. This means that if you live in a quiet street with 20 homes, at least 6 of them will get those unwelcome visitors at some stage.Don't let that property be yours! What can be done? At Amalgamated Pest Control and FlickAnticimex, we have great range of products and services that take the pain outof termite management, whether it be a general termite treatment or pre-construction options. We can also assist with problems like termites,borers and wood decay fungi. If you’re looking for more information, feel free to contact us! Otherwise, visit our website for our handy Pest ID feature and our informative blog posts.